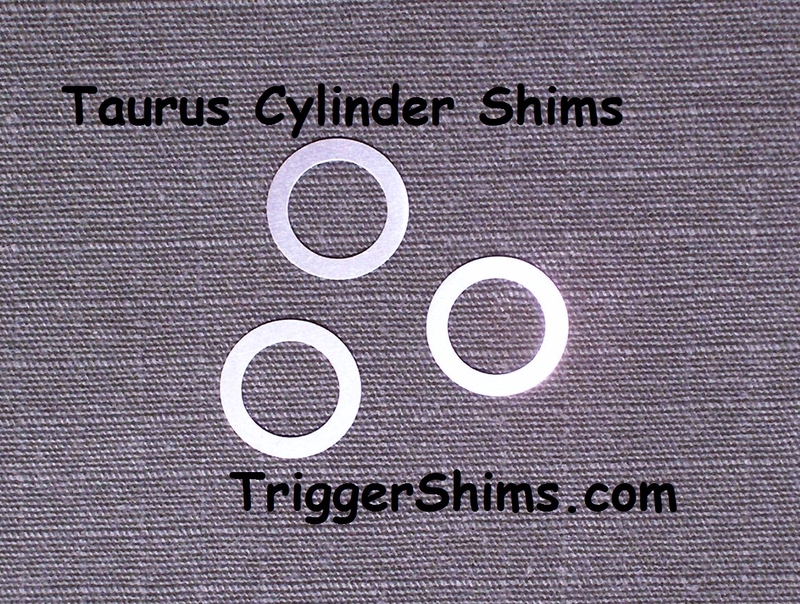 Most of our Shims are Available in .002" through .009"
Our Hammer and Trigger Shims will fit most if not all Small Frame Taurus Revolvers. Trigger Shim .095" X .174"
Hammer Shim .126" X .251"
and the shim will not seat - see installation note below. 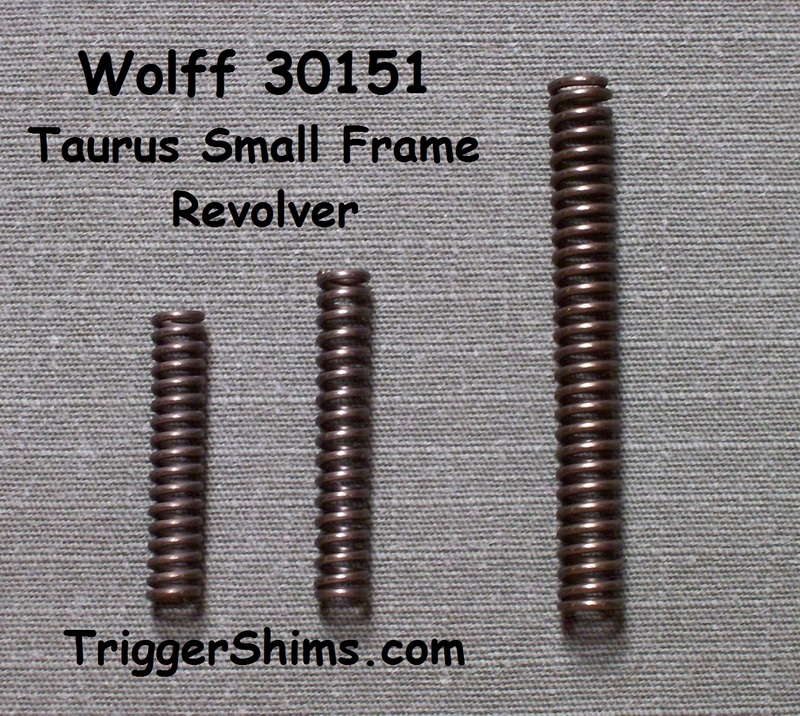 Taurus Large Frame Revolvers use Smith and Wesson K, L, N Frame Hammer/Trigger Shim kits. 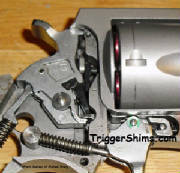 To install shims in your Taurus, you should disassemble and remove the Hammer and Trigger springs, begin by installing a shim on both* sides of the Trigger and Hammer, re-install the frame side plate (without springs) and check for binding. 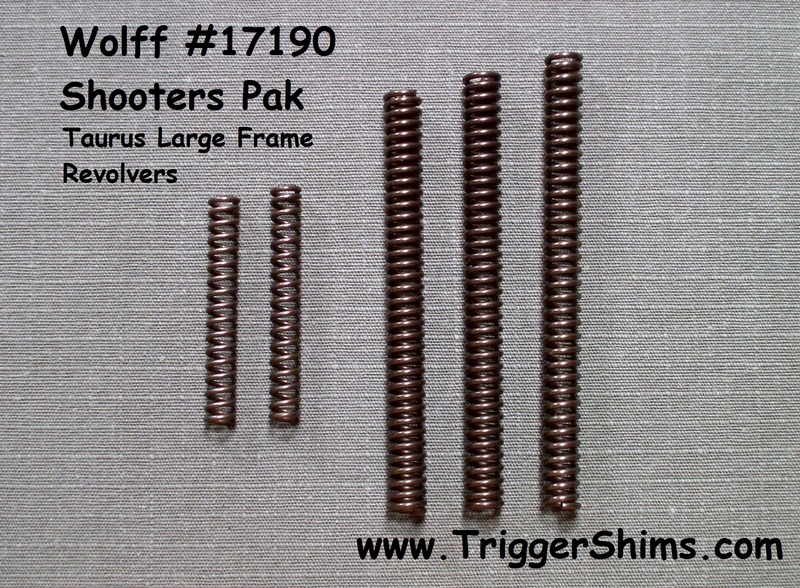 If the Trigger and Hammer move freely, continue to add shims. and the shim will not seat. The Hammer and Trigger Pin Holes are also Radiused, and should seat together. If that is the case, you can successfully shim the Right Side only. Including Models 65, 66 7 shot model, 82, 85/605 etc. Nominal O.D. of .345" X I.D. of .242"
Late Model 85 / Judge use Dan Wesson Large Cyl Shim Below the Cylinder Bushing.